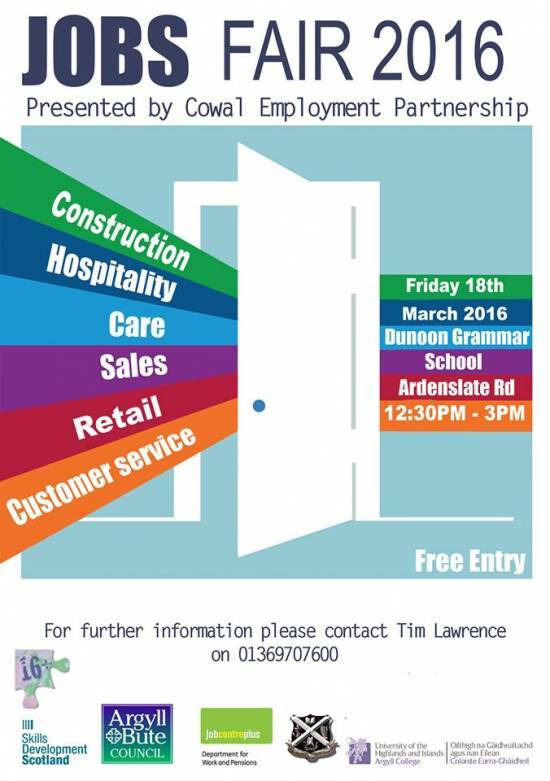 HELP (Argyll & Bute) Ltd worked within Cowal Employability Partnership to organise and run a very succesful Jobs Fair held on the 18th of March in the Dunoon Grammer School. Nearly 50 exhibitors attended, including local employers with live vacancies as well as a number of training and educational organisations. The event was very well attended by HELP’s young people, with a number of service users walking away having lined up job interviews for themselves which is absolutely fantastic, proving the event to be a great success.